To recycle is to rebuild, not just a product, but to save the environment from any further encroachment e.g. deforestation or digging for natural resources. A lot of waste has been dumped into the ground over the last couple of centuries. We incorporate recycling and reusing activity to help the younger generation understand the importance of the harmful waste that can wipe off many species in no time. We use art, architecture, gardening and farming in different ways to promote recycling. At the end of the day we want to save the Earth: we at Rivers and Ridges would like to inculcate the concept of recycling to keep the beauty of the Earth intact. We believe there is adventure in preserving nature and when an effort is made, the flora and fauna will both flourish once again. 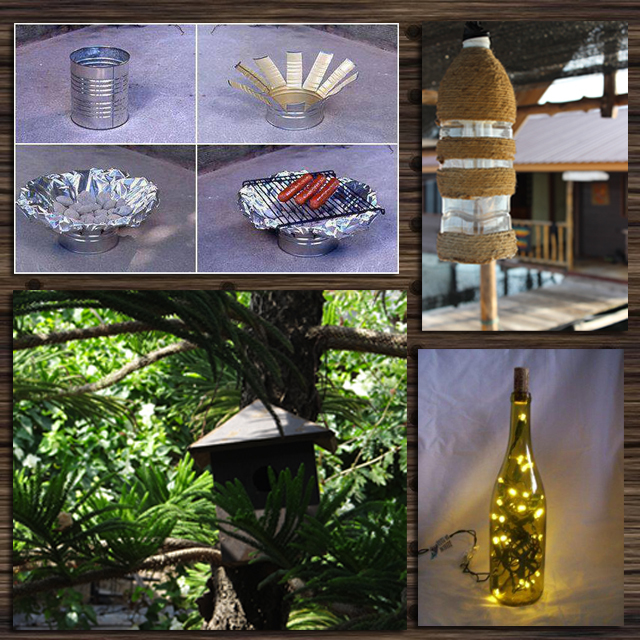 Some of the ways we promote recycling is reusing plastic bottles to make bird feeders, discarded pieces of plywood to build a birdhouse, and so on. We put almost everything to an alternate use after the primary use of the product is over. For example taking the discarded bricks of a demolished house to rebuild an outdoor toilet or a water tank, or combining wood ash with soil, parched leaves and natural manure to form vermicompost, an organic fertilizer used to grow plants, vegetables and fruits. This interactive workshop is an awareness gathering session where we don’t just teach you we also learn from you. Sounds interesting? So join hands with us to restore our damaged planet and take home some amazing ideas of how wasteful materials can be converted into gifts and article of daily household use.